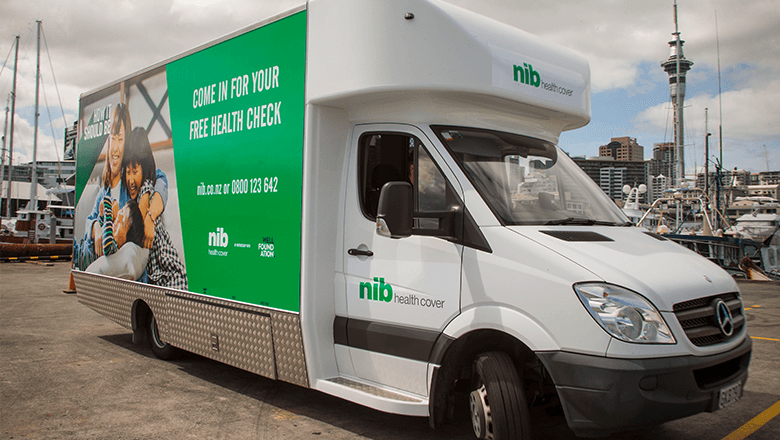 This summer, we’re continuing on our mission to make healthcare more accessible for families, with the launch of an exciting new initiative – the nib check-up truck. Throughout the month of January, the check-up truck will be popping up at a number of family hotspots around the Auckland region, including beaches, markets and parks, offering free general and dental health checks to people of all ages. Our Chief Executive Officer, Rob Hennin, says that with the launch of the truck, nib will help provide peace of mind to parents and families who, for a variety of reasons, might not have had recent access to such services. “We’re committed to ensuring families around New Zealand can access the healthcare they need, when and where they need it most. By taking the nib check-up truck service direct to them at their favourite beaches and parks, our aim is to make access to basic health checks more convenient than ever,” Mr Hennin said. “Anyone and everyone is welcome to come along for a free check-up, whether you’re an nib customer or not. We’ve got a fantastic team of registered nurses and oral hygienists running the service, who will be able to provide people with valuable health advice, or recommend a course of action for follow-up treatment if necessary,” he added. The initiative is being delivered in collaboration with the Well Foundation – the charitable arm of the Waitemata District Health Board (WDHB) – with the check-up truck being one of a fleet of vehicles used by the Foundation to provide mobile healthcare at schools throughout the WDHB region. “The idea was to find a positive, meaningful way to support Kiwi families and local communities. The Well Foundation felt like a really natural partner for the initiative because they’ve already been doing that for a number of years, via their amazing work within the WDHB. It’s a genuine privilege to be working alongside them,” concludes Hennin. Dental and health check-ups available for all ages. No treatment will be administered on the truck – and in the case that follow-up treatment is required, patients will be responsible for coordinating this with their usual dentist or general practitioner. Check-ups will be administered by trained dental and health professionals.